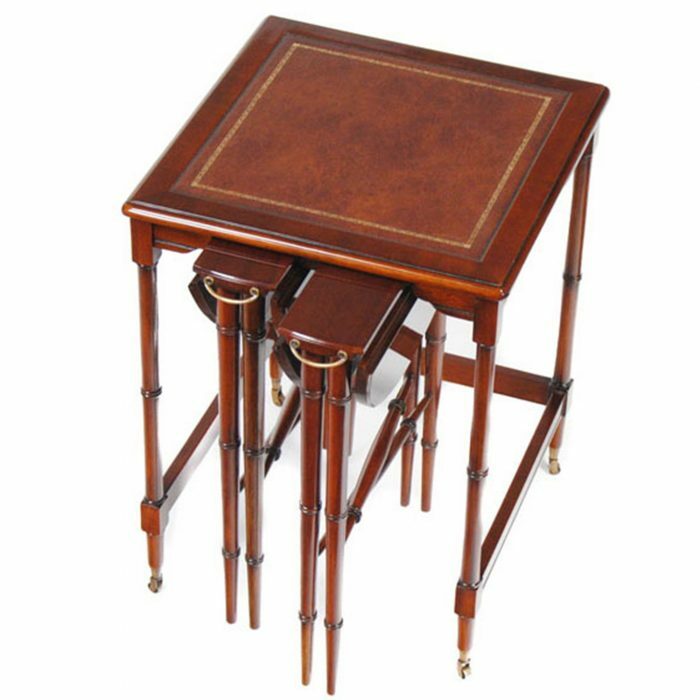 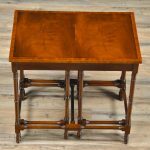 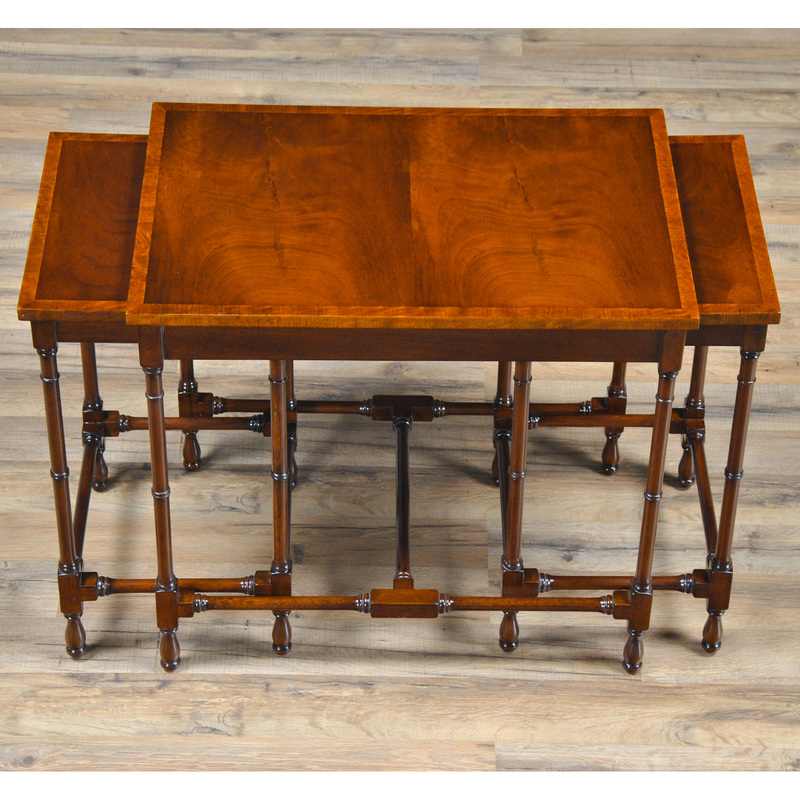 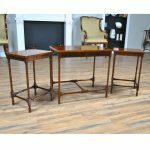 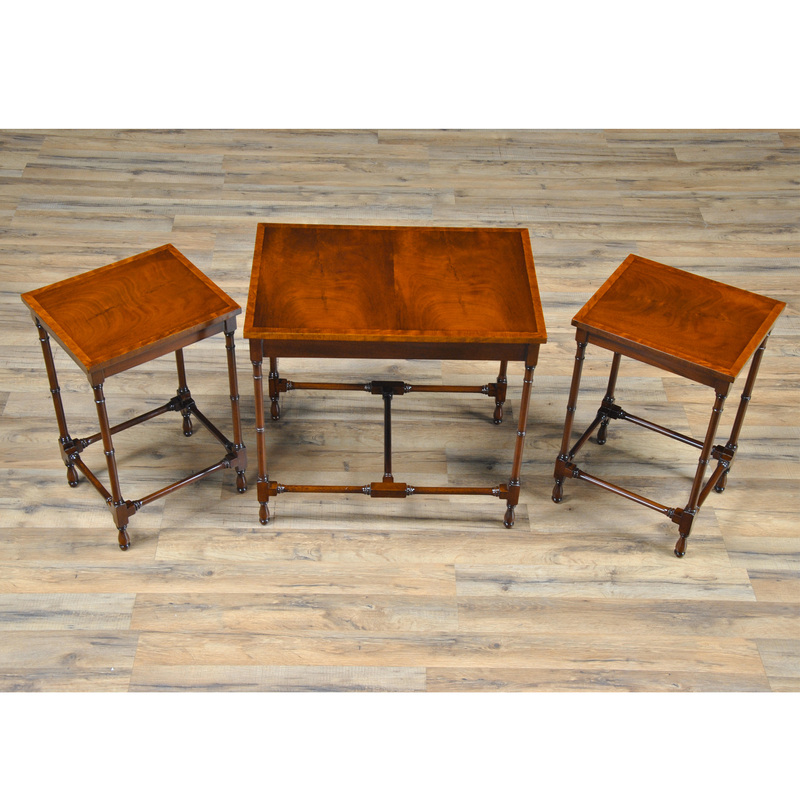 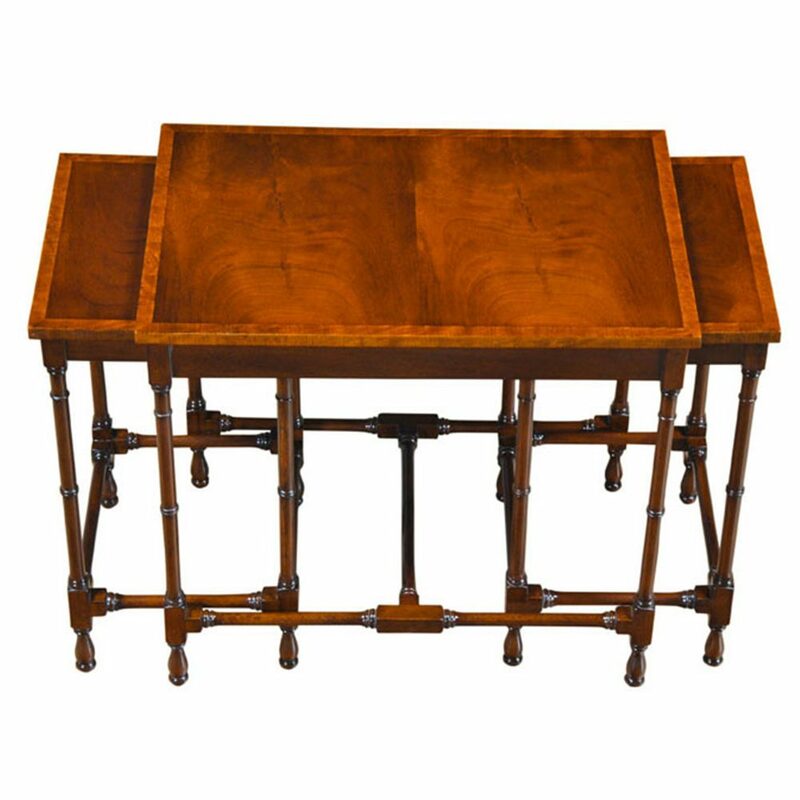 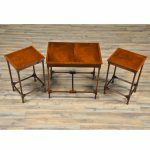 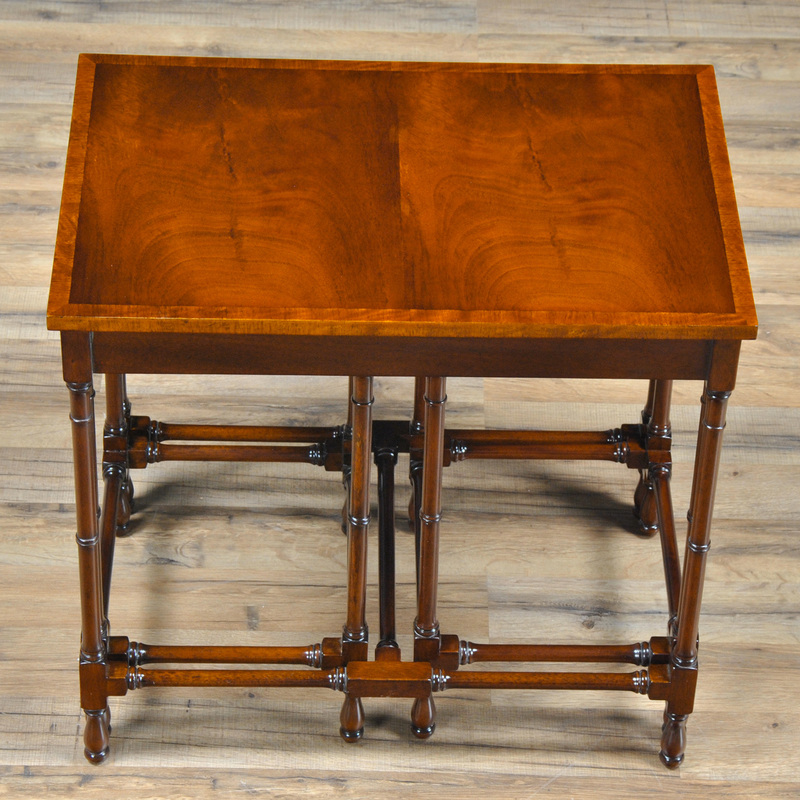 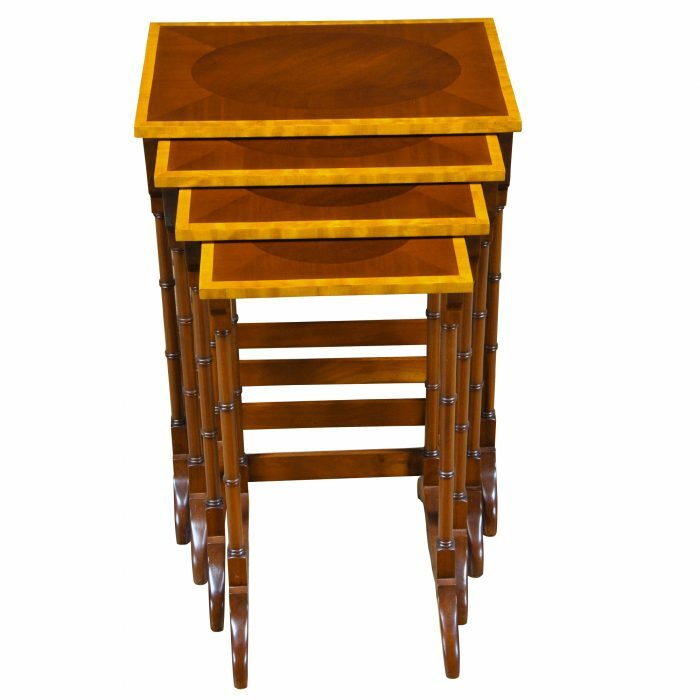 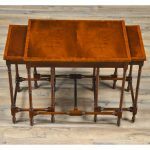 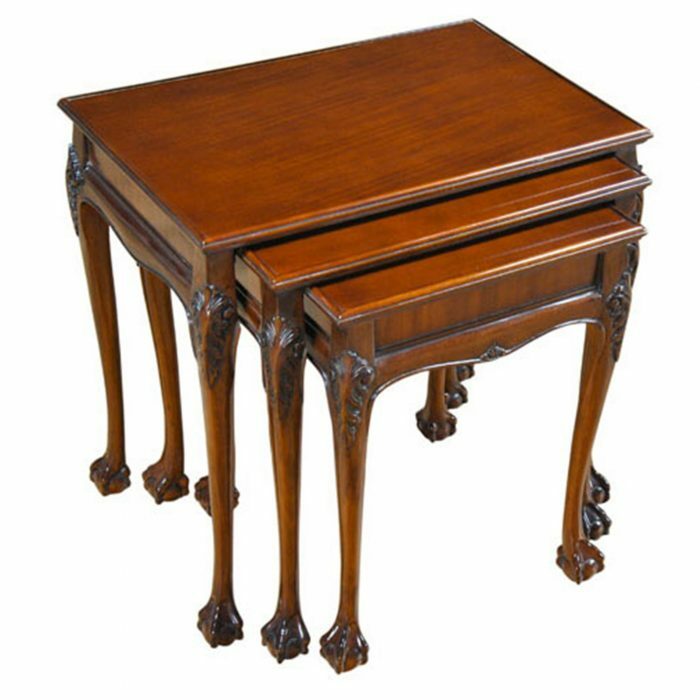 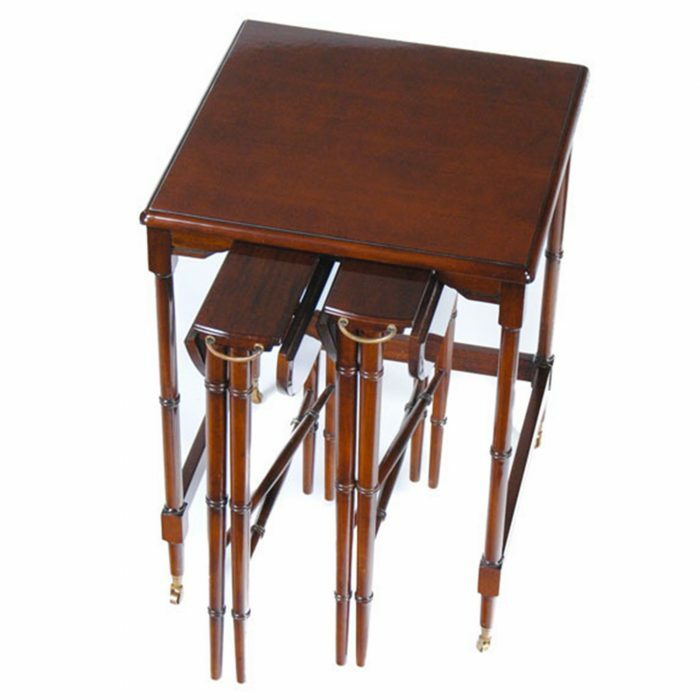 An unusual group of tables our Essex Nesting Tables features three tables, all with gorgeous satinwood banded and mahogany tops. Supported on faux bamboo legs that are actually turned from solid mahogany the tables have stretchers for extra support. 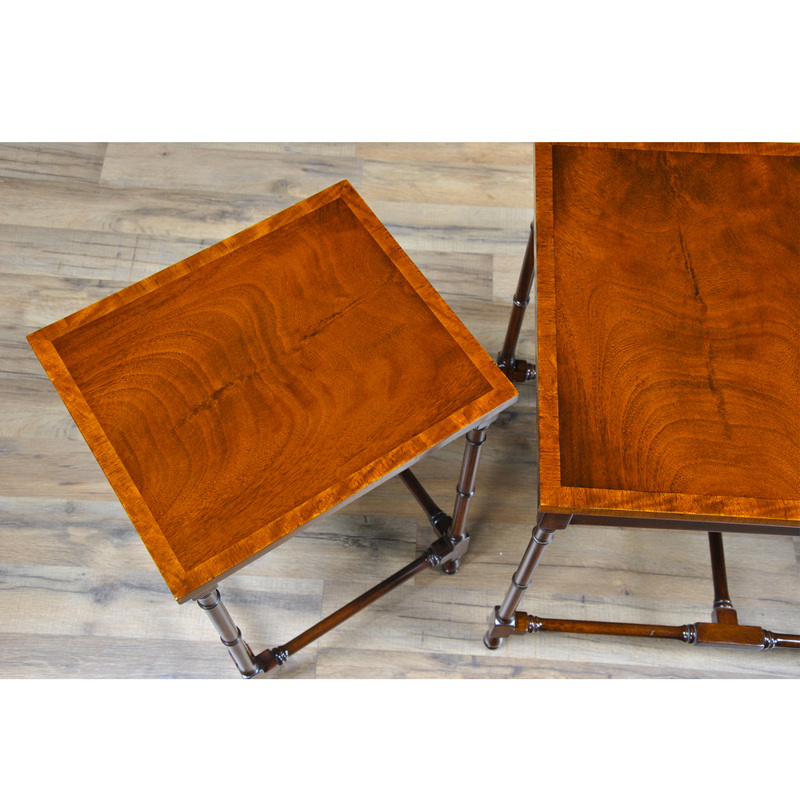 The two smaller tables are stacked away from the end side of the larger table. Quite often purchased in pairs for opposite ends of a sofa. 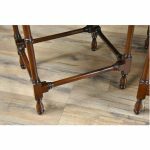 Ideal for when guests arrive, the tables can be quickly pulled out and used throughout the room, sliding back in place easily when no longer needed.